To celebrate the new year, you could eat the traditional collards, black-eyed peas, and pork. OR! You could eat some delicious steaks with some beurre rouge. We’re going to eat the traditional meal today but then come back to the Teres Major soon. 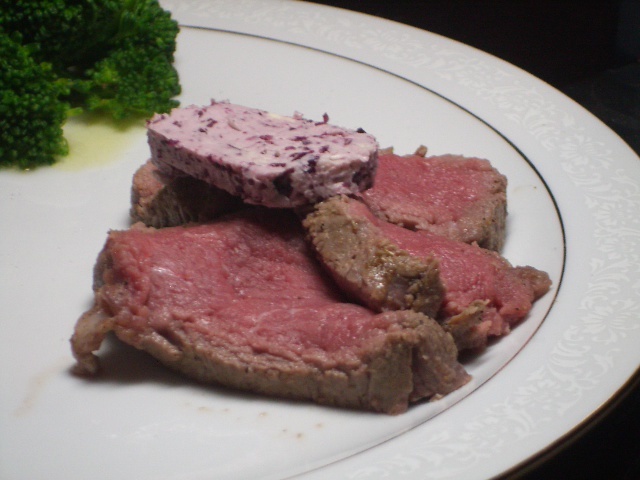 Last night, we wrote about beurre rouge, and suggested it as a great addition for any steak. Now’s the perfect time to start: Teres Major Medallions with Beurre Rouge. yum! can’t wait to try it at home!